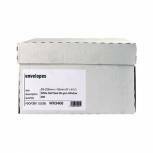 Envelope C5 Window 90gsm Self Seal White Boxed (Pack of 500) WX3406 Pack of 1 Plain white envelopes with address window. Crisp 90gsm white paper. Self-adhesive flap. Suitable for A5 or folded A4 documents. C5. Pack of 500. 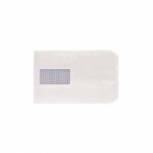 Envelope C5 90gsm Self Seal White Boxed (Pack of 500) WX3469 Pack of 1 White envelopes. Strong glue to keep secure when in transit. 90gsm surface for opacity and protection against tear. Self-seal for convenience when sending many items at once. C5. Pack of 500 envelopes. Q-Connect C5 Envelopes Pocket Self Seal 90gsm Manilla (Pack of 500) X1074/01 Pack of 1 Q-Connect Manilla Envelopes. Budget envelopes. Manufactured from 90gsm manilla with a self seal flap. C5 162mmx229mm. 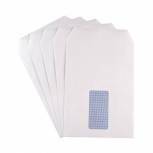 Q-Connect C5 Envelopes Pocket Self Seal 90gsm White (Pack of 500) 2898 Pack of 1 Q-Connect White Envelopes. 90gsm envelope with self seal flap. C5 229mmx162mm. Q-Connect C5 Envelopes Pocket Self Seal 115gsm Manilla (Pack of 250) 2755 Pack of 1 Q-Connect Heavyweight Manilla Envelopes. Tear-resistant basket weave manilla protects your contents and withstands rough handling. Ideal for bulky documents and catalogues. 115gsm manilla with a self-seal flap. C5 229mx162mm. 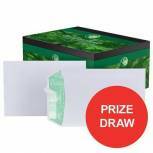 Q-Connect C5 Envelopes Window Pocket Peel and Seal 100gsm White (Pack of 500) IP53 Pack of 1 Q-Connect C5 White Peel and Seal Window Pocket Envelopes. High quality 100gsm envelopes ideal for business use. Window size 45 x 90mm. 57mm in 20mm up. 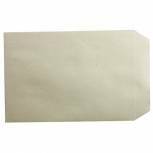 Q-Connect C5 Envelopes Window Pocket Self Seal 90gsm White (Pack of 500) 2820 Pack of 1 Q Connect White Envelopes. Flawless Bright White Wove envelopes with an opaque interior ensuring letters remain confidential. 90gsm envelope with self-seal flap and window. Size: C5 229x162mm (9x6.4inch). 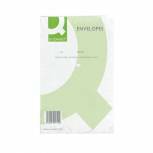 Q-Connect C5 Envelopes Window Pocket Self Seal 90gsm White (Pack of 500) 9000020 Pack of 500 Q-Connect Envelope C5 Window 90gsm Self Seal White 9000020. 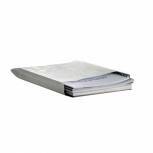 Suitable for A5 or folded A4 documents. Window size 100 x 45mm. Pack of 500. 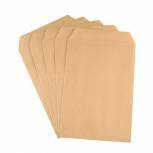 Q-Connect C5 Envelopes Pocket Gummed 70gsm Manilla (Pack of 500) KF3426 Pack of 1 Q-Connect Manilla Envelopes. Budget envelopes. Manufactured from 70gsm manilla with a gummed flap. C5 229mmx162mm. 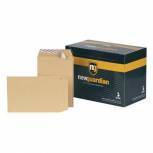 New Guardian C5 Envelopes Pocket Peel and Seal 130gsm Manilla (Pack of 250) L26039 Pack of 1 New Guardian Heavy Duty Envelopes. Extra strong manilla. Peel and seal envelopes with easy open tear strip. 130gsm. C5 229 x 162mm. Q-Connect C5 Envelopes Pocket Peel and Seal 100gsm White (Pack of 500) KF03289 Pack of 1 Q-Connect C5 White Peel and Seal Pocket Envelopes. High quality 100gsm envelopes ideal for business use. 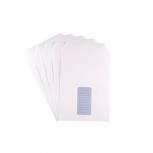 Q-Connect C5 Envelopes Pocket Self Seal 100gsm White (Pack of 500) KF97367 Pack of 1 Q-Connect White Envelopes. 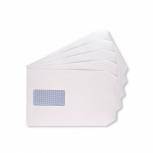 Flawless bright white wove envelopes with an opaque interior for confidentiality. 100gsm pocket style envelope with self-seal flap. C5 229 x 162mm. 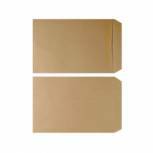 Basildon Bond C5 Envelopes Pocket Peel and Seal 120gsm White (Pack of 50) B80277 Pack of 1 Basildon Bond Recycled Peel and Seal Plain Envelopes. Supplied in convenient small packs ideal for use on the move or in the home and office. Size - C5 324 x 162mm. Weight - 120gsm. Colour - White. Q-Connect C5 Envelopes Window Pocket Self Seal 100gsm White (Pack of 500) 9007500 Pack of 500 Q-Connect Envelope C5 Window 100gsm Self Seal White 9007500. Suitable for A5 or folded A4 documents. Window size 100 x 45mm. Pack of 500. 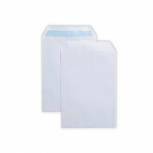 Plus Fabric C5 Envelopes Peel and Seal 120gsm White (Pack of 250) D10055 Pack of 1 Plus Fabric Envelope Peel and Seal C5 White Pk250 Premium quality 110gsm bright white envelopes. Power-Tac and Easy Open on selected lines. Stylish blue opaque for confidentiality. 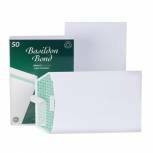 Basildon Bond C5 Envelopes Pocket Window Peel and Seal 120gsm White (Pack of 500) J80119 Pack of 1 Basildon Bond C5 peel and seal pocket window envelopes have the distinctive watermarked white paper. Easy open device for a clean opening. 120gsm. 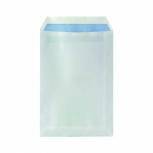 Q-Connect C5 Envelopes Gusset Peel and Seal 120gsm White (Pack of 125) KF02889 Pack of 1 Q-Connect Gusset Envelopes ideal for mailing bulky items. Manufactured from strong 120gsm white paper with a peel and seal flap and a gusset that expands to 25mm. C5 229 x 162 x 25mm. 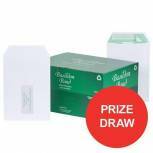 Basildon Bond C5 Envelopes Pocket Peel and Seal 120gsm White (Pack of 500) L80118 Pack of 1 Basildon Bond C5 peel and seal pocket envelopes have the distinctive watermarked white paper. Easy open device for a clean opening. 120gsm. 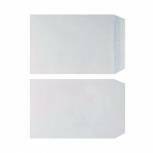 Q-Connect C5 Envelopes Window Pocket Self Seal 90gsm White (Pack of 25 x 25) KF02718 Pack of 20 Q-Connect White Envelopes. 90gsm envelope with self-seal flap and window. C5 229x162mm.